Dr. John L. Aurelia of the Washington Township area wants to educate patients on the many ways in which he helps restore smiles to keep them healthy. Though many patients visit his practice regularly for recall visits and examinations, and take good care of their smiles, there are times during which they may develop cavities. 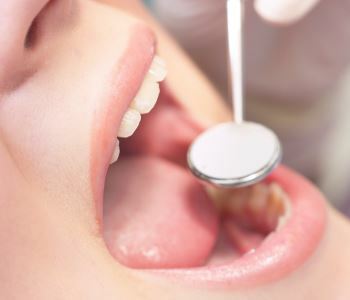 Cavities are areas of decay, which can be caused by plaque, and tartar that was not removed from the teeth’s surfaces. When these are left behind, they begin to eat away at the tooth enamel and into the structure. This can result in pain and discomfort while eating or drinking, as well as increased sensitivity. When our dental staff discovers an area of decay, we tell patients they will need to have dental fillings placed. 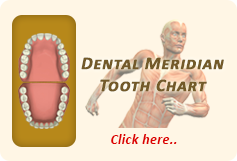 Dental fillings are done to seal off the tooth and keep decay from continuing further. In the past, these fillings used to be done with silver amalgam; however, thanks to continued advances in materials and aesthetic services, patients can now use composite resin fillings for their smile instead. Composite resin provides a tooth-colored filling that blends in and looks completely natural. Dental fillings are placed after the area is prepared with the removal of the decay and a thorough cleansing of the tooth. Then, the composite resin filling is placed into the area of decay and polished to seal off the tooth. Silver amalgam fillings, which were used in the past— and are still used by some dentists today—are very noticeable when placed within the smile. Composite resin fillings are aesthetic, and have other benefits when compared to silver amalgam fillings, such as a reduced risk for mercury toxicity and better function even with temperature changes. Patients who are interested in learning more about the differences between these two restorative methods are encouraged to speak with Dr. John L. Aurelia to learn more about these comparisons to make an educated decision regarding composite resin fillings versus silver amalgam fillings. We welcome new patients to our practice and encourage them to work closely with our team in deciding what is best for the beauty and health of their smiles.